NIA — The annual free prostate cancer screening clinic held on Nevis by urologist Dr. Dwayne Thwaites and fellow visiting urologists, will mark its 10 year in 2017. The one-day event, supported by the Nevis Island Administration (NIA), commences at the Occasions Conference Centre at the Pinney’s Industrial Site on January 14, 2017. Addressing the media on January 12, 2017, at the Alexandra Hospital, Dr. Thwaites who was accompanied by fellow urologist Dr. Brian Cohen who is a part of the clinic for eight years, urged men in the Federation, 40 years and older, to continue to take advantage of the programme. 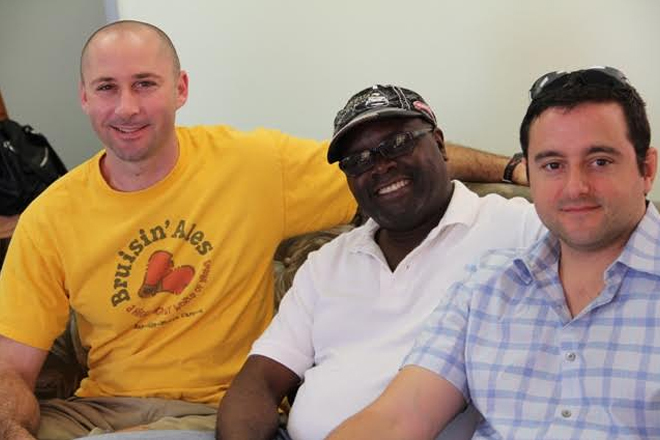 “We are expecting to see a lot more men come out…We started out with 80 men. In 2014 we had 495 and in 2015 it was 595, I think, so the numbers are increasing steadily over the last couple of years. “The abnormalities over 2014/2015 was about eight percent and last year the number increased to about 10 percent but I think, with the increase in the amount of patients coming out, we are seeing some of those numbers changed around,” he said. In 2016, a total of 622 men participated in the screening programme. The urologists say it is a procedure they recommend doing annually for men 40 and older especially if they have a family history of prostate cancer. 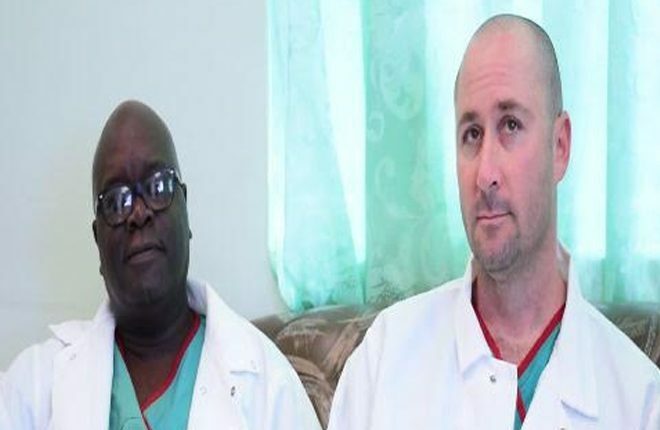 During this year’s screening, which ends at midday, US based urologists Dr. Daniel Caruso and Dr. Chris Gomez will also be a part of the team. Registration will commence at 6 a.m. and examination will begin at 8 a.m. All participants will have a blood test (PSA) done followed by a Digital Rectal Examination. Dr. Thwaites noted that one of the reasons they continue to undertake the screening exercise is that there is effective treatment available for prostate cancer. He expressed concerned over the increasing number of men with late stage cancer who never attended the screenings before for a variety of reasons. He noted that the examination only takes him about three seconds to conduct and its easier once the patient is in a relaxed state. However, the urologist explained that in the event abnormalities are detected during the screening, it does not necessarily mean that one has cancer. “The only how you can diagnose that a person has cancer is with a pathological examination and that means that you have to get a biopsy for us to confirm there is cancer on board. “So you can have abnormal masses on examination and you can have abnormal PSAs and no cancer. In the same vein, you could have low PSA with an abnormal examination and do have cancer in the prostate gland,” he said. Dr. Thwaites used the opportunity to register gratitude to the various sectors within the NIA, the private sector and members of the community for their unwavering support for the programme.